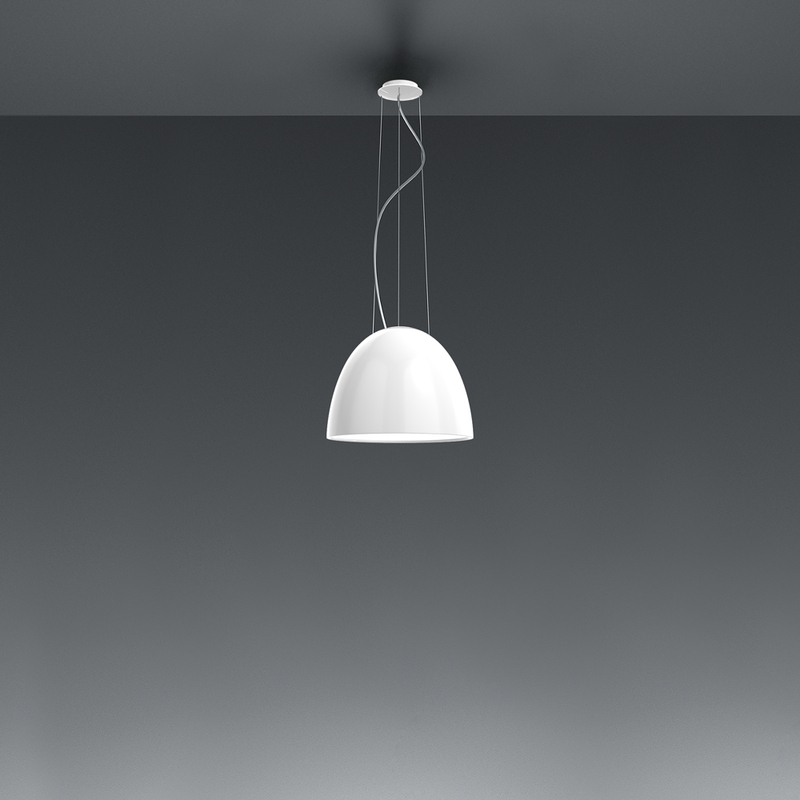 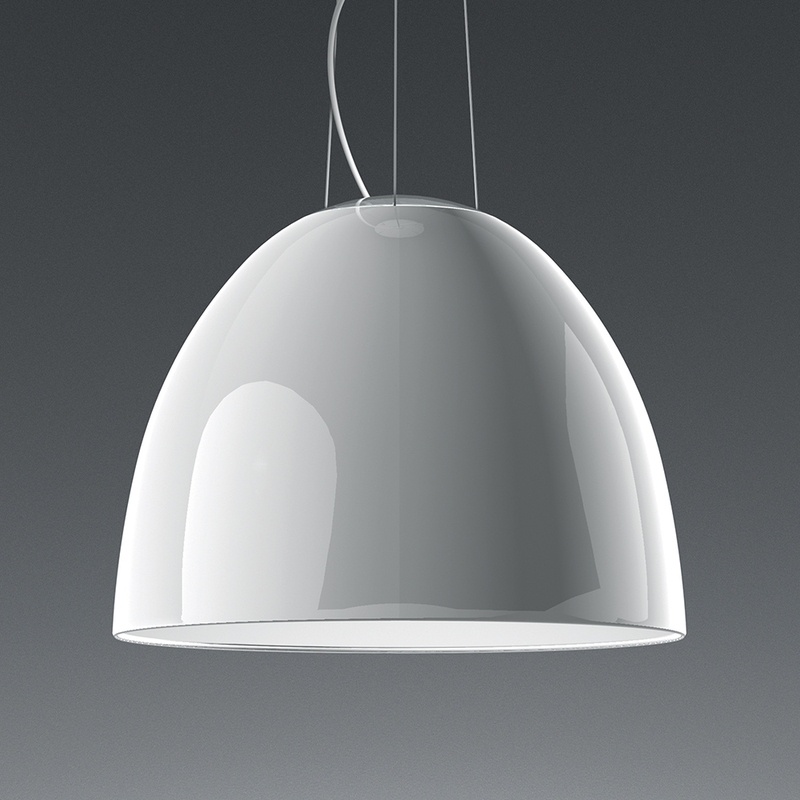 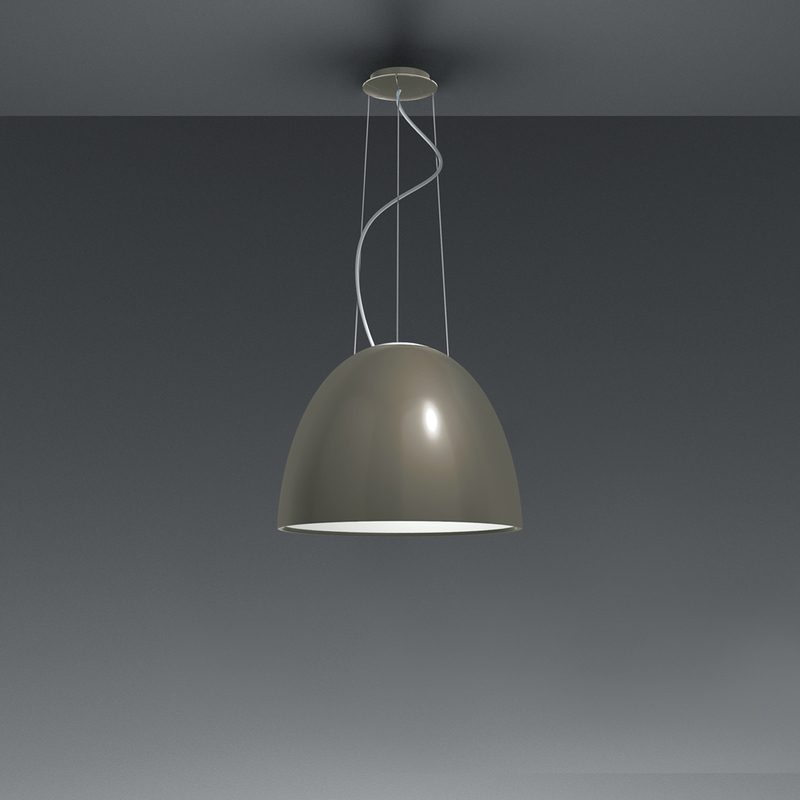 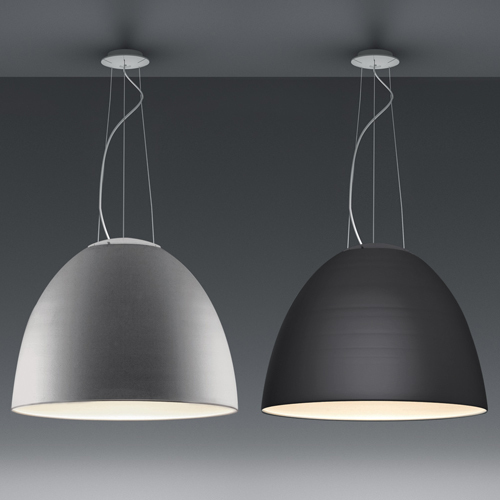 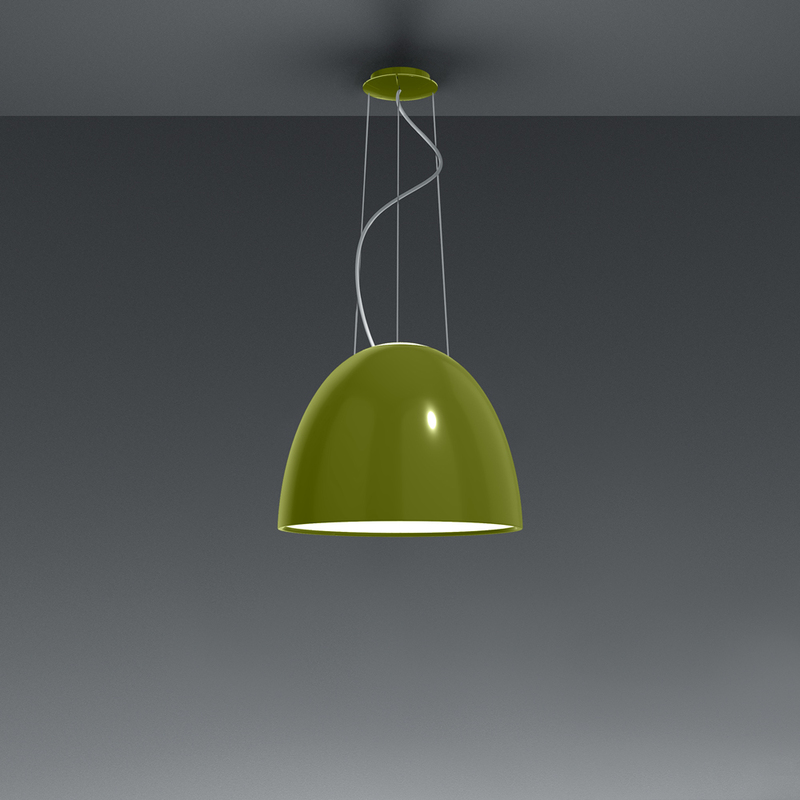 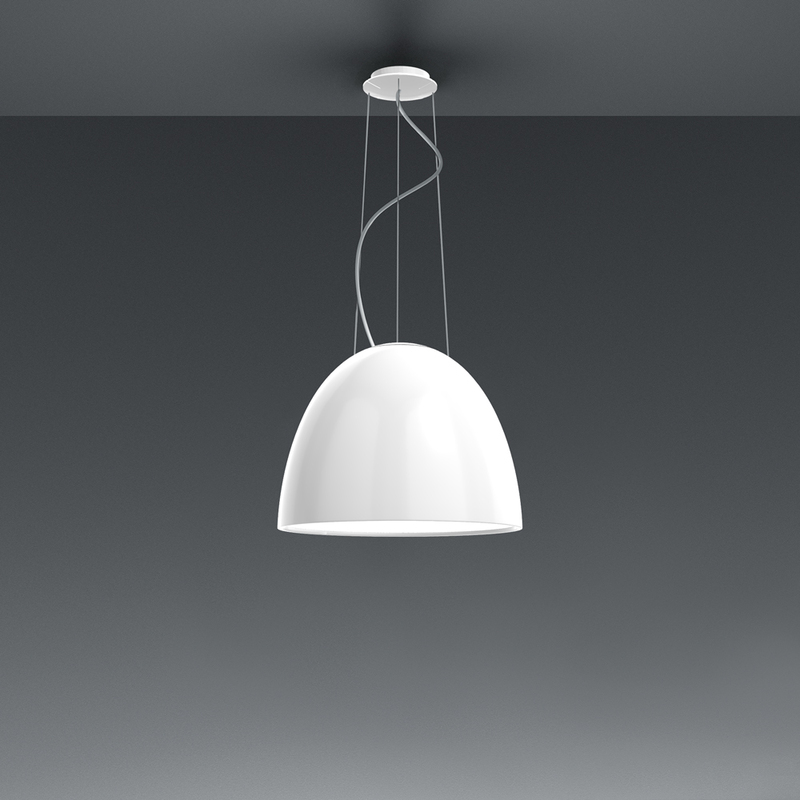 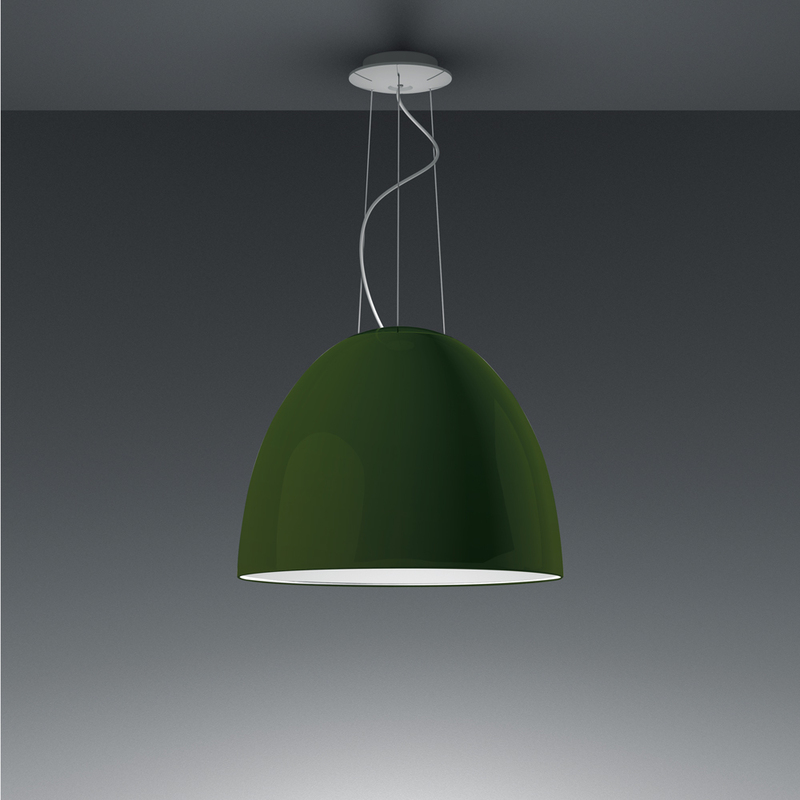 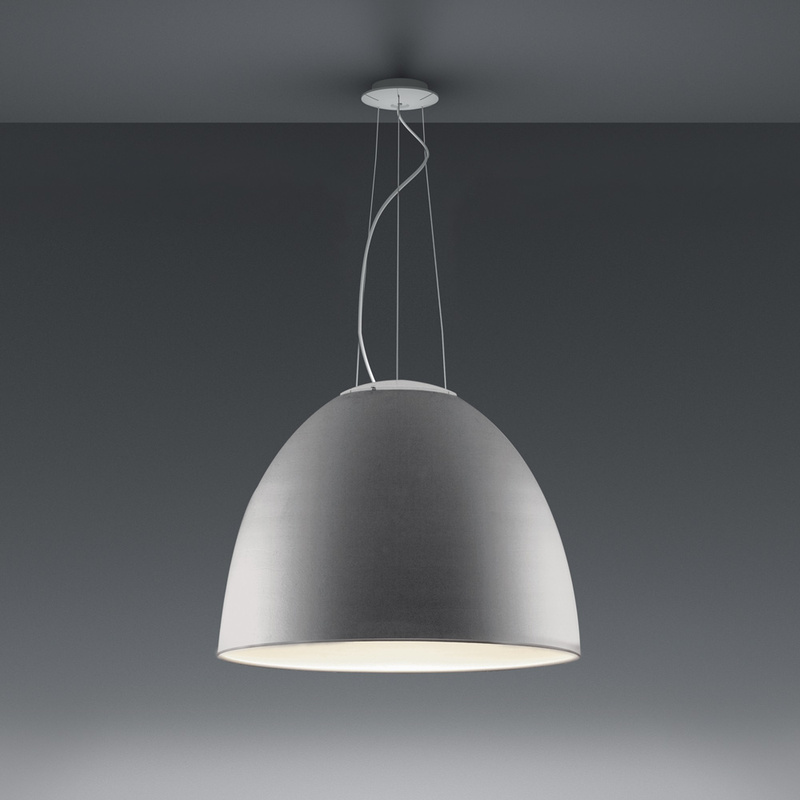 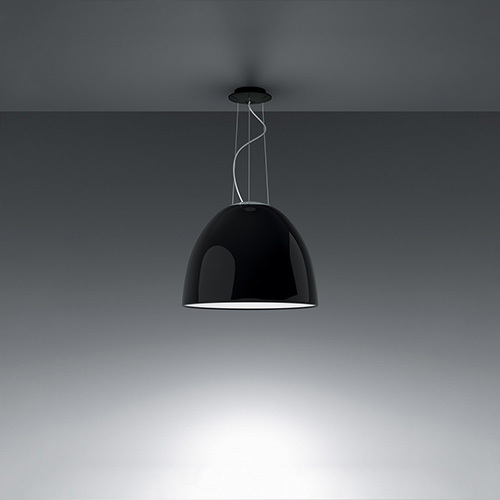 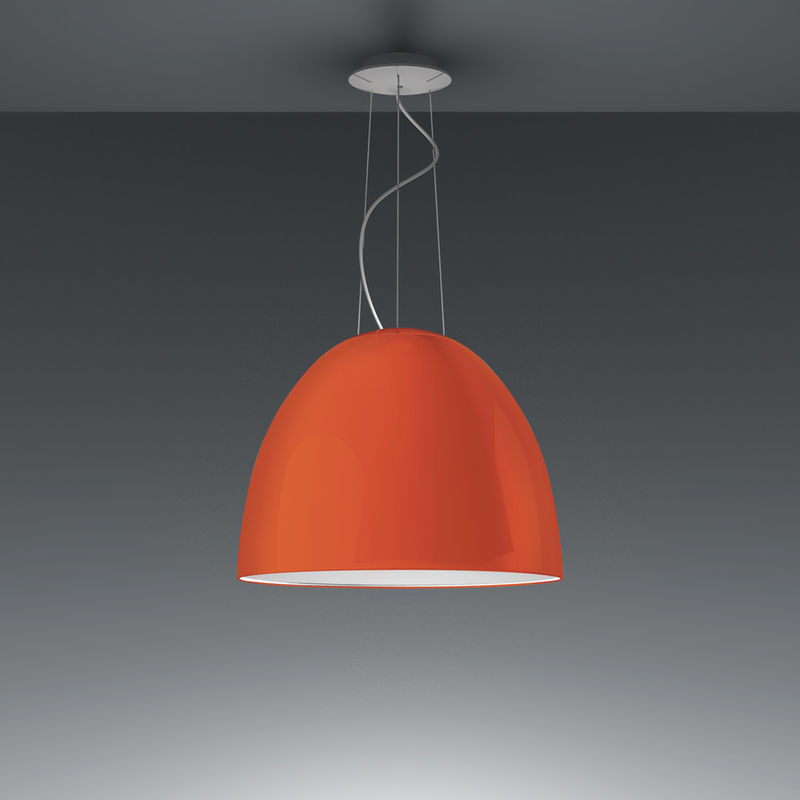 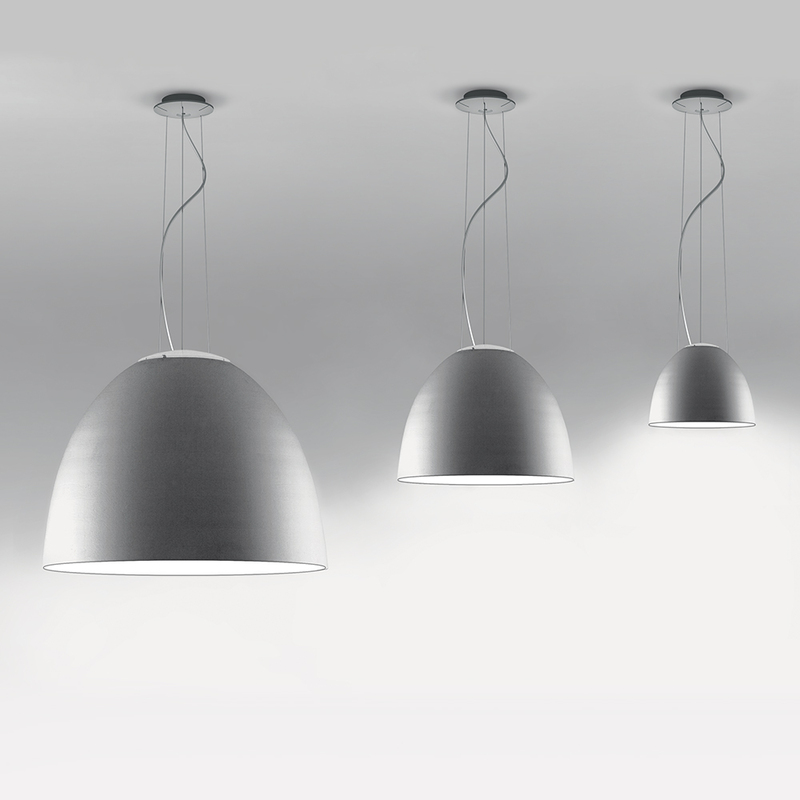 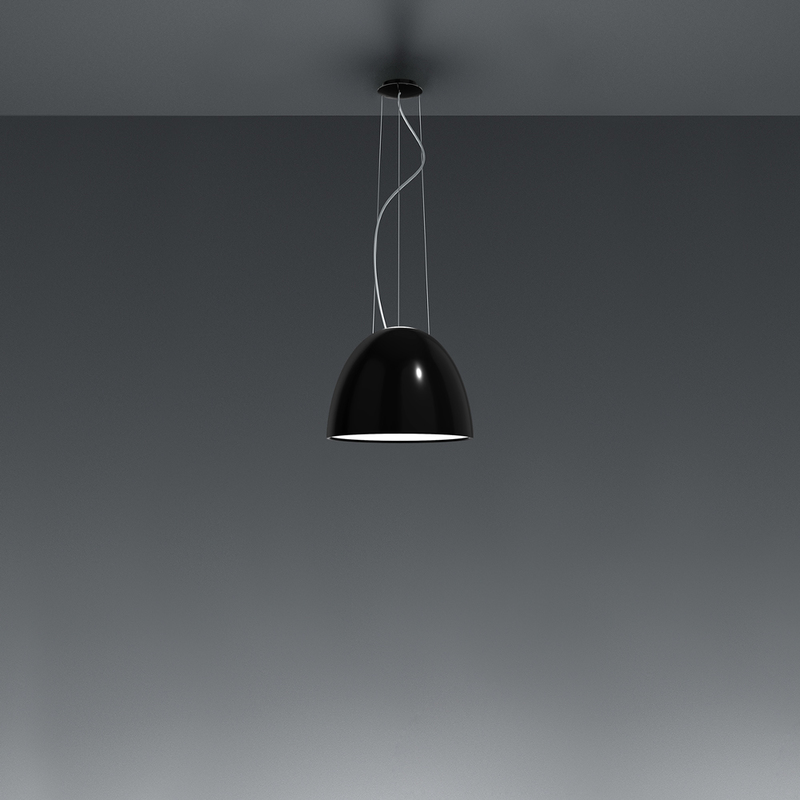 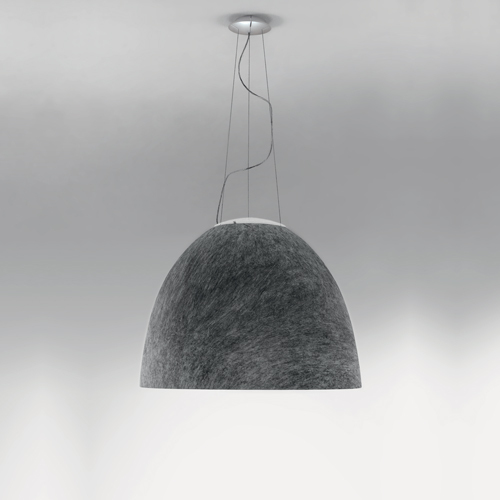 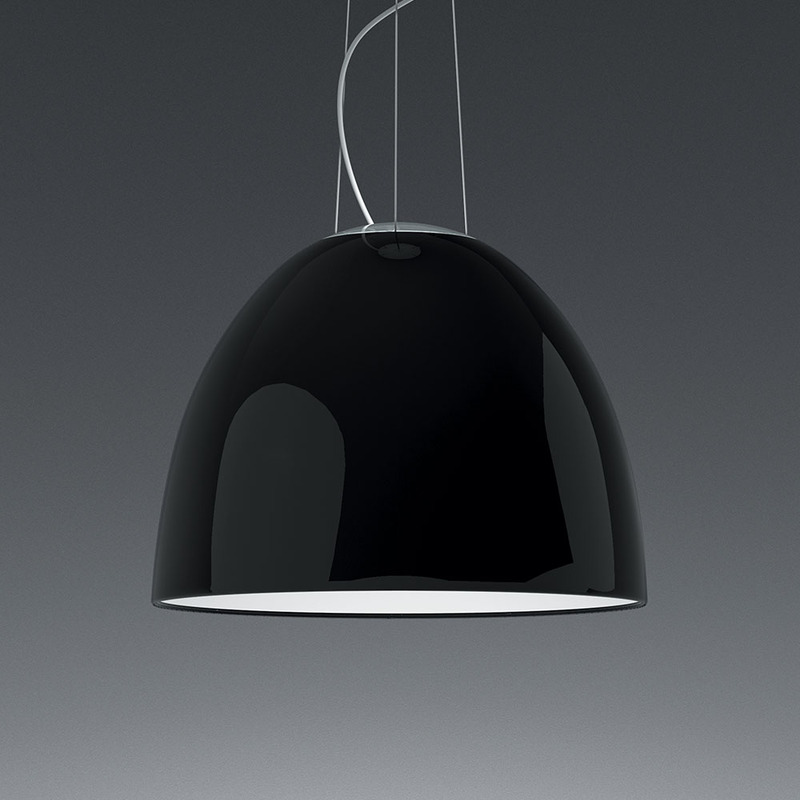 A system for the metamorphosis of light, Nur Suspension has a sleek, contemporary dome shape that provides direct downlighting, with a sanded glass top that also allows a softer, more subtle diffused light to escape. 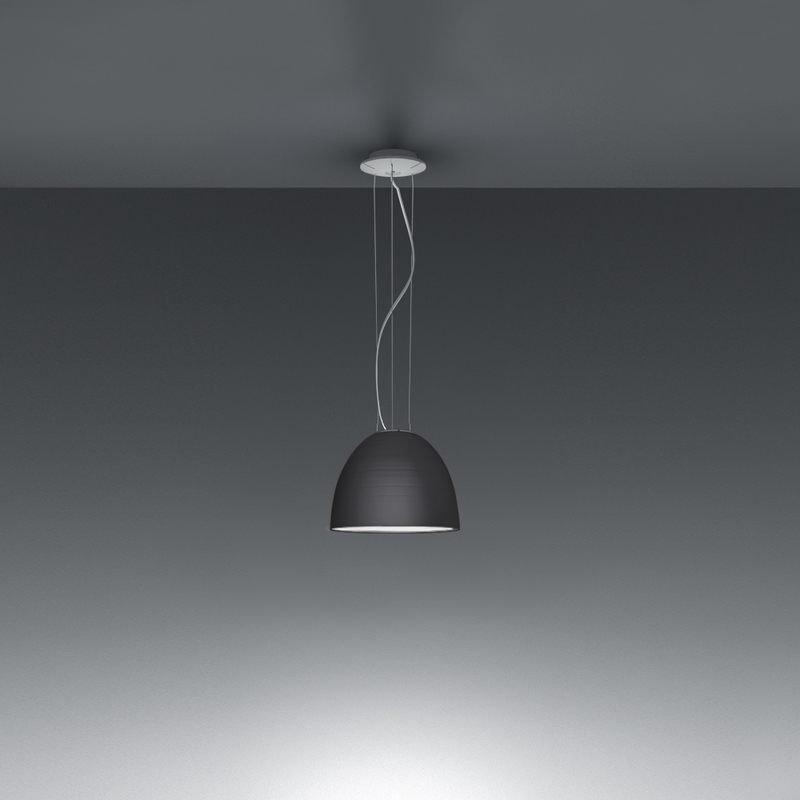 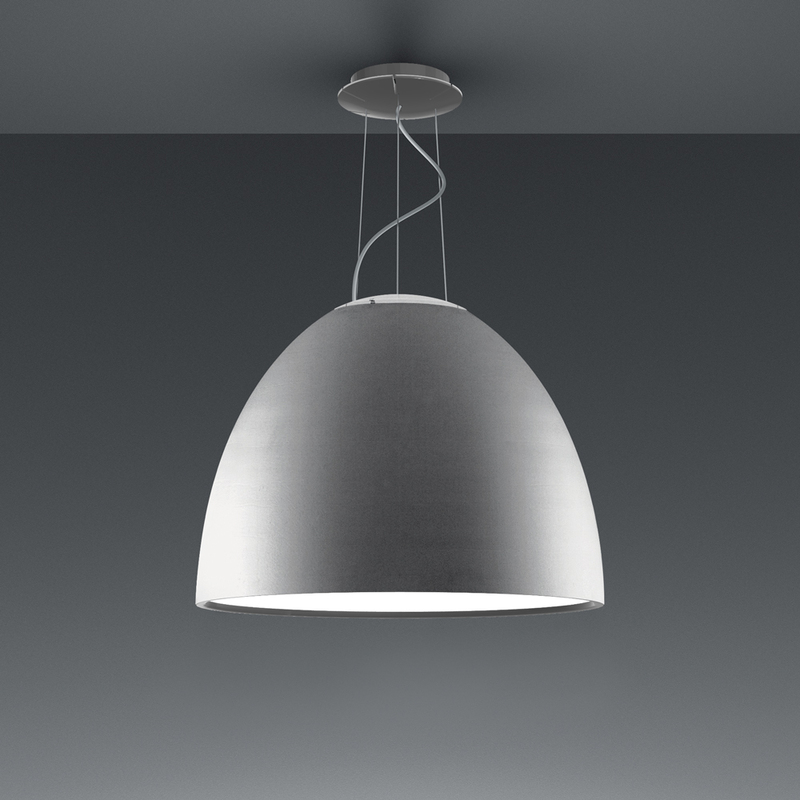 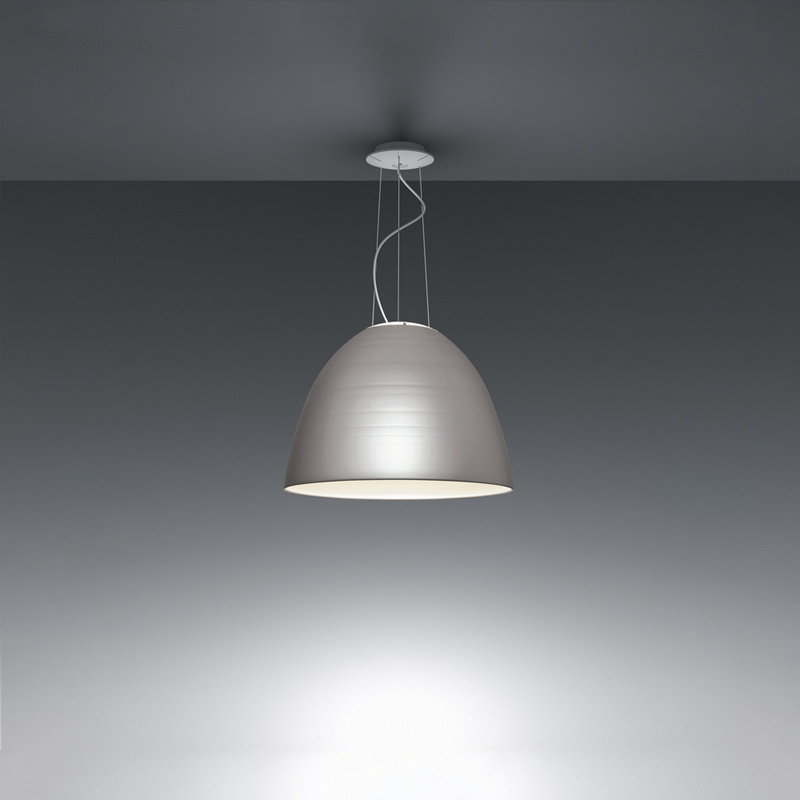 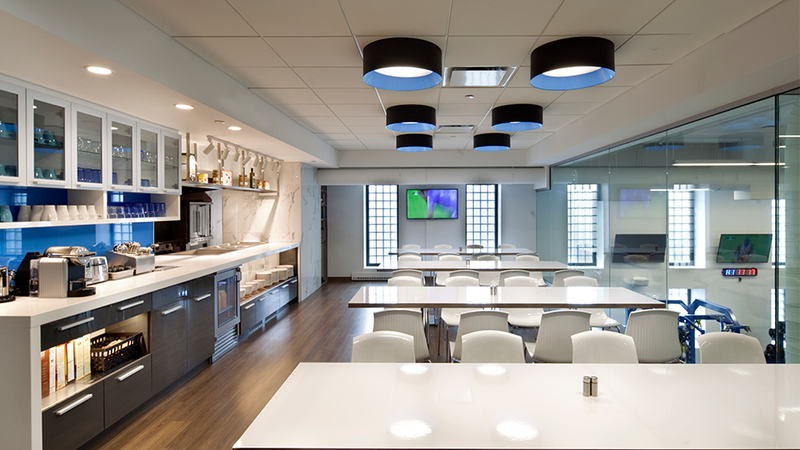 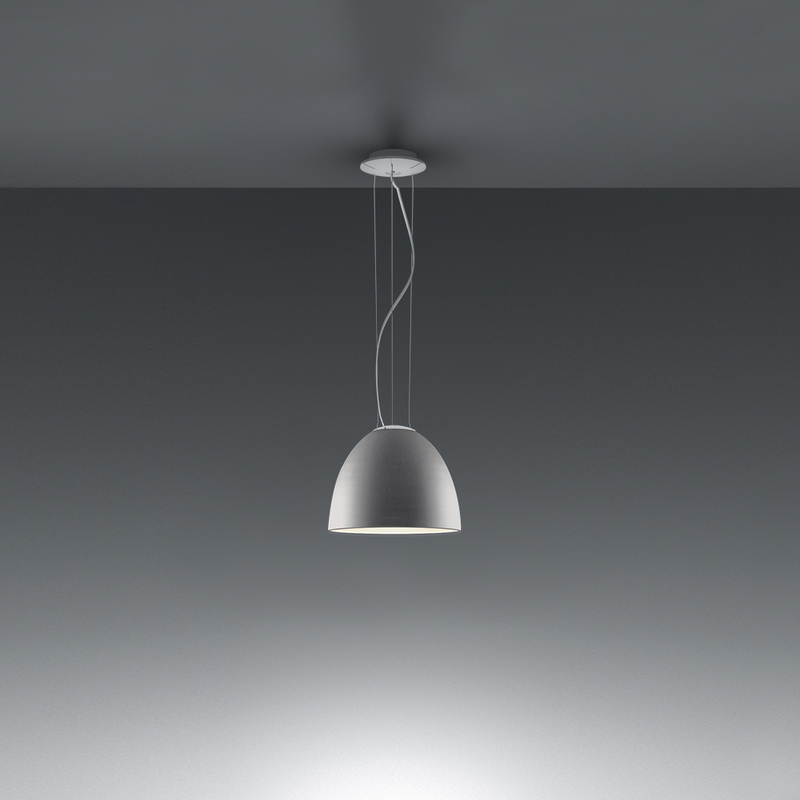 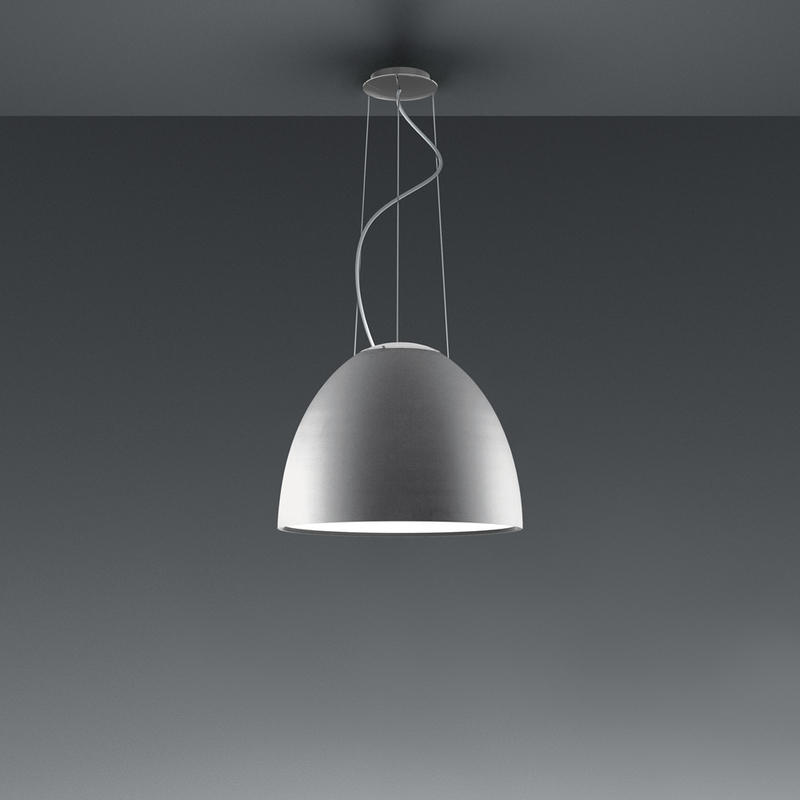 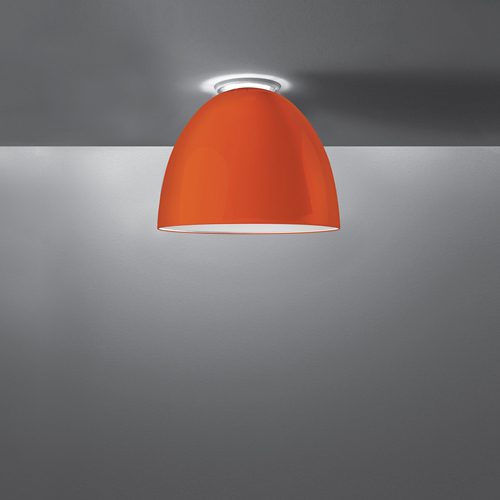 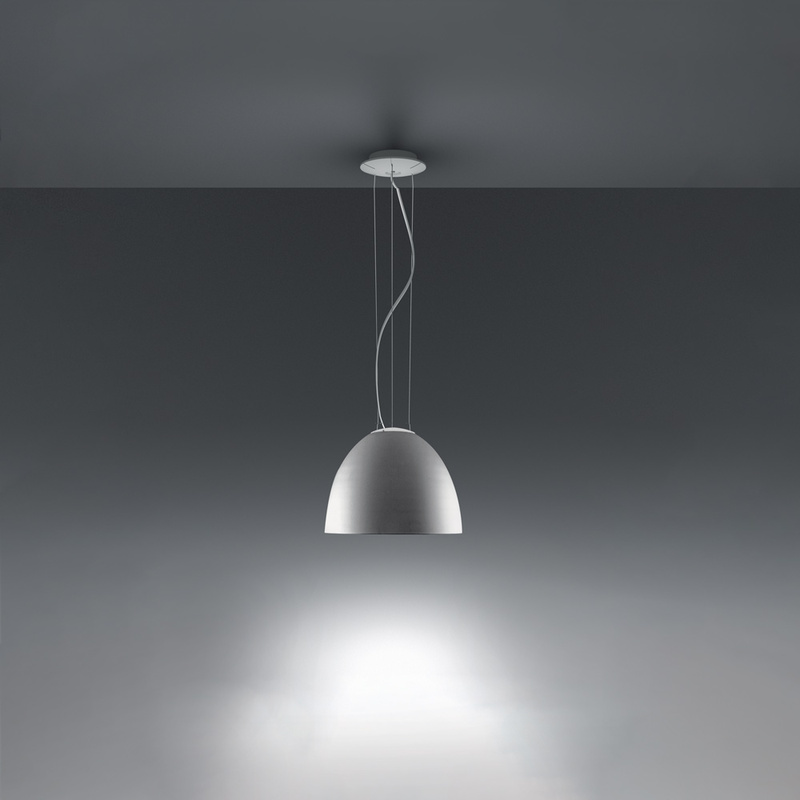 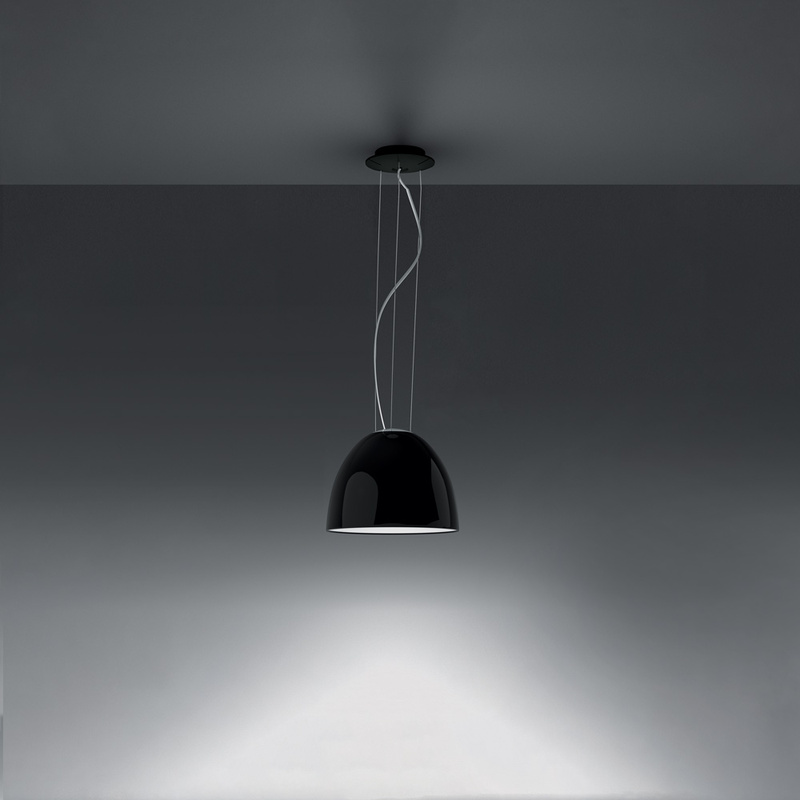 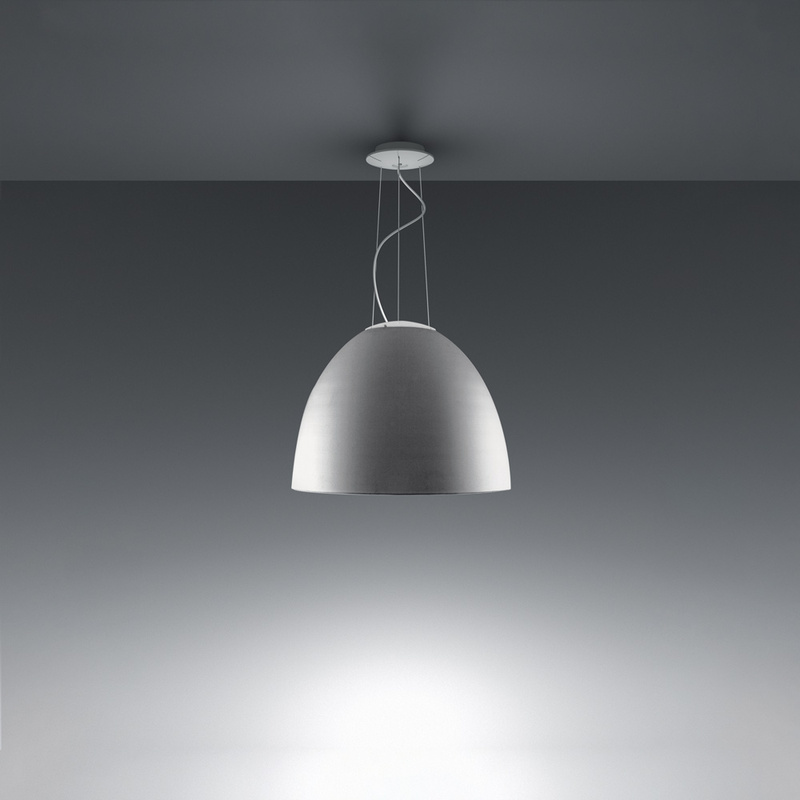 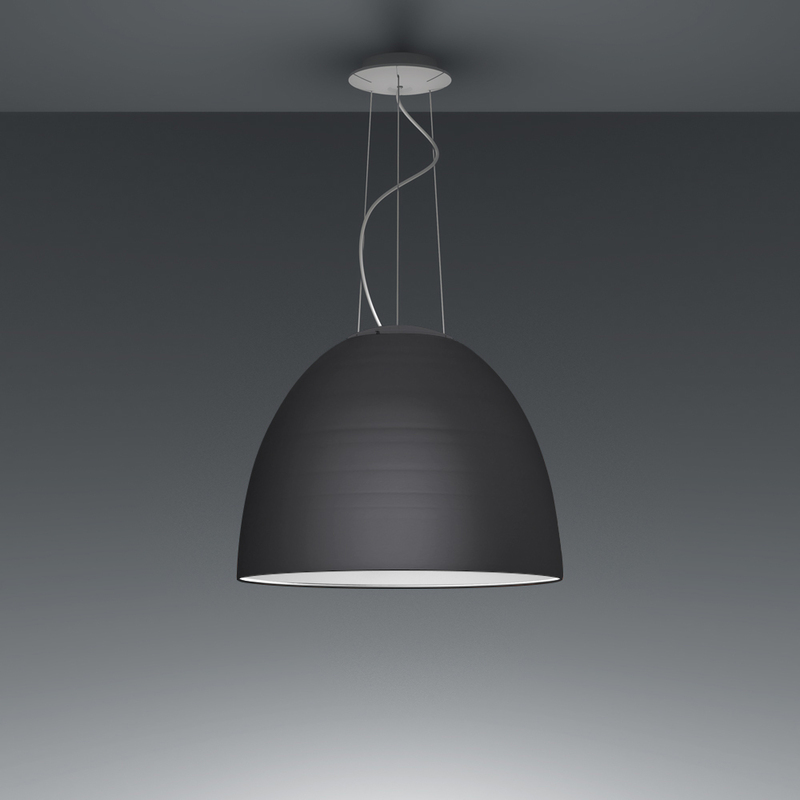 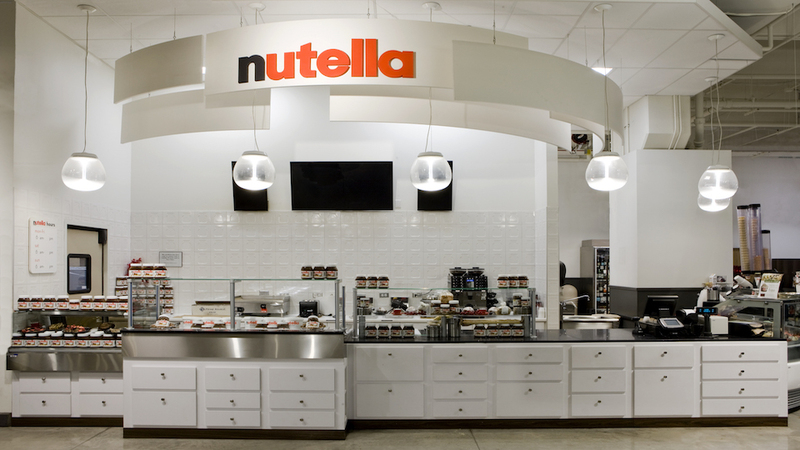 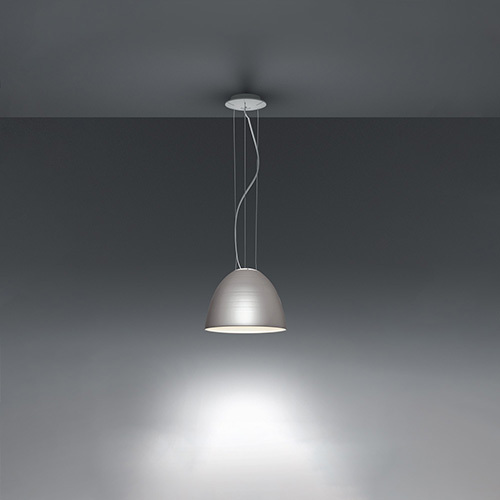 Nur creates indirect light accompanied by a subtle “halo” effect on the ceiling. 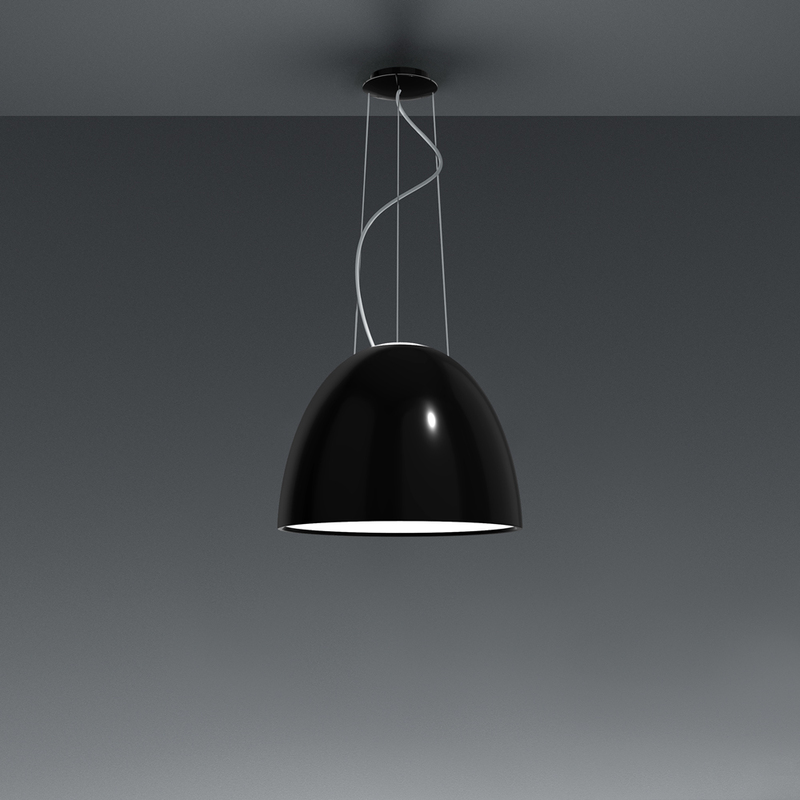 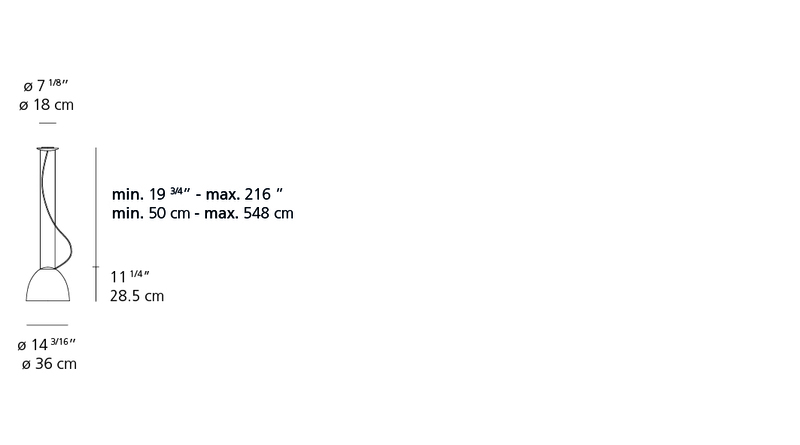 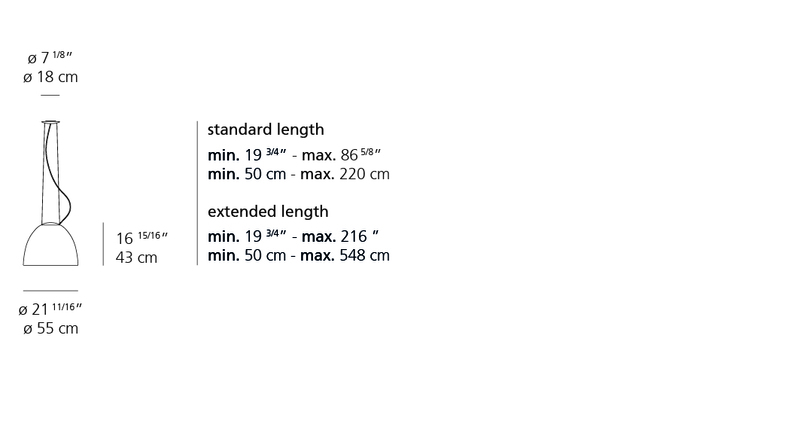 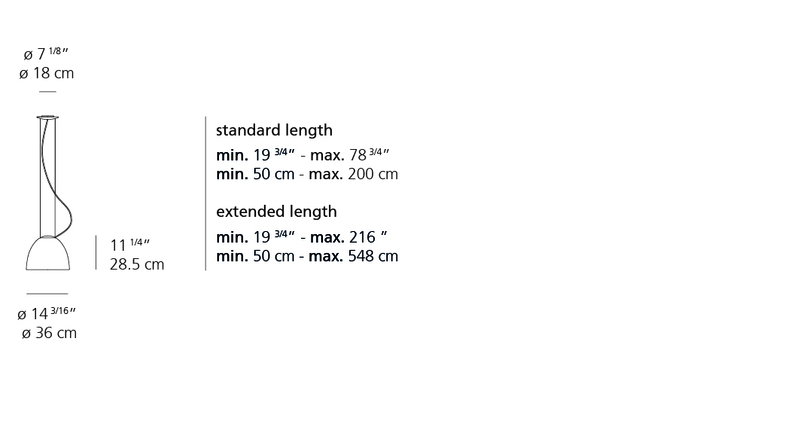 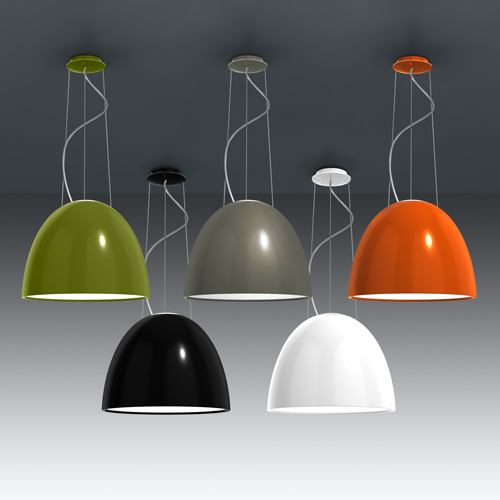 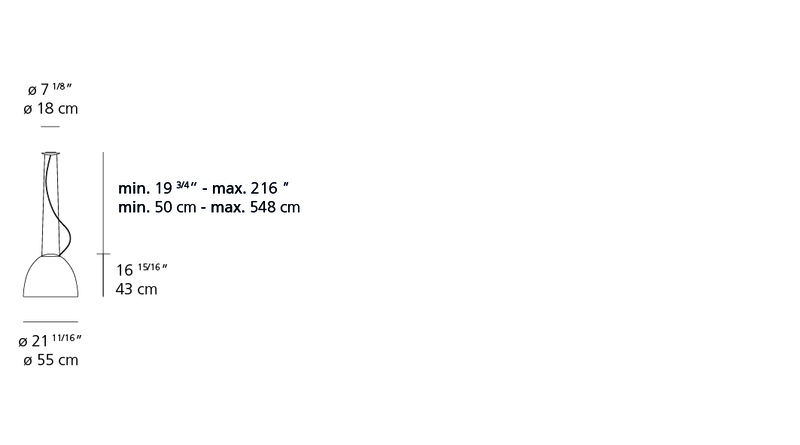 Nur suspension is available in aluminum, grey, glossy black, glossy white, glossy orange, glossy green, glossy grey. 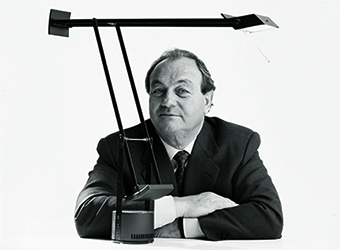 -Body of lamp in aluminum.